A marriage is the joining of two individuals into one married couple. Many brides and grooms choose to illustrate by having a wedding unity ceremony. There are many different ways to do this. Here are five of WhereBridesGo.com's favorites. For this ceremony, a large candle and two taper candles are used. The mothers of the bride and groom each light a separate taper candle before taking their seats for the wedding. 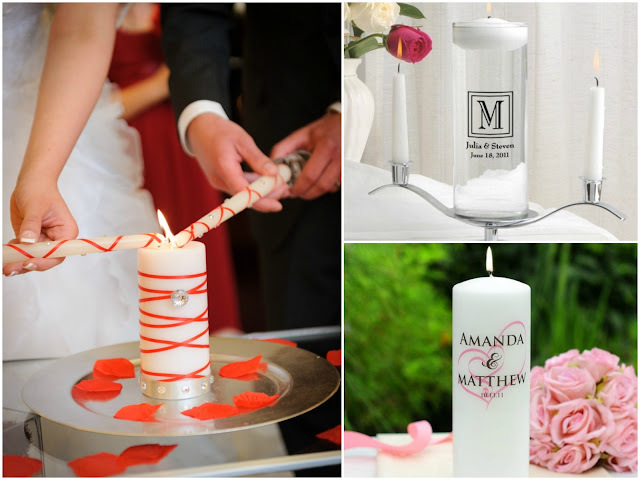 The bride and groom then use these to light the big candle together, symbolizing the joining of their two families. In this case, three vases are placed at the front of the ceremony venue. The bride's and groom's families are each assigned a rose color. Each mother places a rose in their vase for each immediate family member, including the bride and groom. You may want to add a personalized ribbon to the couple's flowers. When it is time during the ceremony, the couple each take their family's bunch of flowers and place them together in the center vase. This symbolizes the blossoming of their new family. 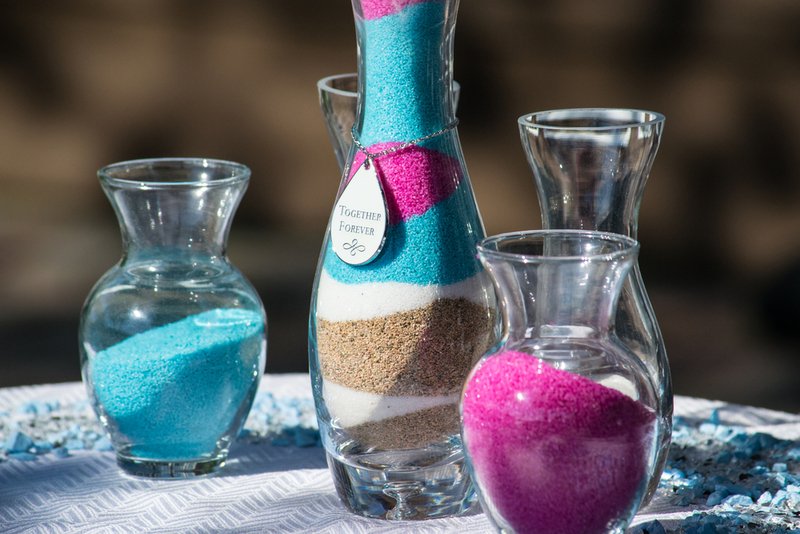 The bride and groom each have a small vase filled with their own color of sand. A container is chosen to combine the two sands into. 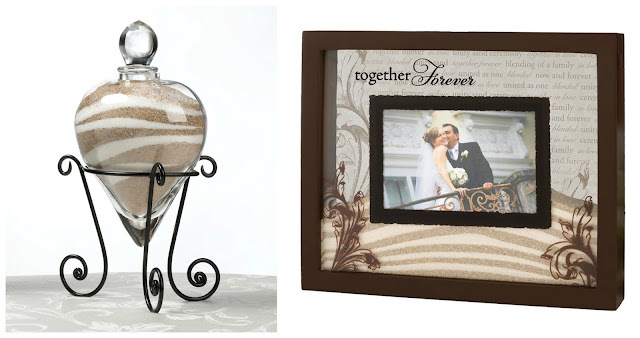 WhereBridesGo.com carries lovely vases and frames made especially for this type of unity ceremony, as well as the colored sand. The couple begins by taking turns pouring their sand, in layers, into the container. At the end, they pour sand at the same time. This commingling of the sand illustrates the two becoming one. If there are children are involved, they may also add a sand color symbolizing the the new blended family. All of your guests can be included in this one. The wedding rings are placed in a small, pretty bag and passed from guest to guest while the officiant is speaking. Each guest holds the rings for a few seconds while saying a blessing or prayer for the couple. When timed correctly, the rings should be back to the bride and groom as the vows are finished. If letting that many people pass around your rings makes you nervous, you can limit it to the immediate family and your wedding party. This is similar to the sand ceremony, but with wine. It's perfect if you will be getting married at a winery. 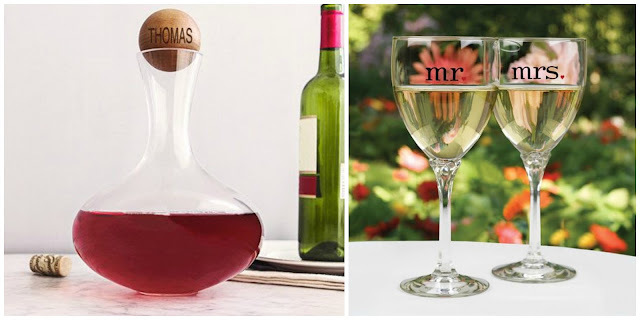 The bride and groom each have a small carafe of their own wine. They combine the wines into a single glass, which they both take a drink from. A nice addition to this is to then seal a bottle of wine in a box along with love notes you have written to each other. Choose a future anniversary to open the box and share in the wine and memories together. A unity ceremony is a sentimental gesture that has deep meaning for you as a couple. WhereBridesGo.com carries many of the supplies that you will need for these ceremonies, as well as all of the other wedding ceremony and reception supplies for your special day.